The newly expanded Panama Canal has now been officially opened. The expansion will provide greater economics of scale to global commerce, introduce new routes, liner services and industries, including LNG. 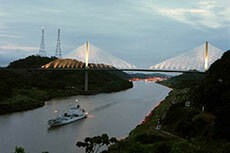 CEO Jorge L. Quijano said: “More than 100 years ago, the Panama Canal connected two oceans. Today, we connect the present and the future. "It is an honour to announce that what we did it together: providing this great connection to the world. This is the beginning of a new era." 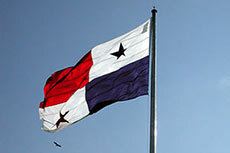 The Neopanamax COSCO Shipping Panama vessel was the first to use the passage. It is currently en route to Asia. Quijano added: “We are thrilled that we currently have 170 reservations for Neopanamax ships, commitments of two new liner services to the Expanded Canal, and a reservation for the first LNG vessel, which will transit in late July. “Our customers care that their supply chain is reliable and that they have a diversity of shipping options. And the Canal has always been reliable; today, we offer the world new shipping options and trade routes." The Panama Canal Authority (ACP) has released a statement claiming that the expansion project, which is currently being undertaken, will be complete and inaugurated on 26 June 2016. The modification of the pricing structure for most Canal segments will provide reliability to the global shipping community. 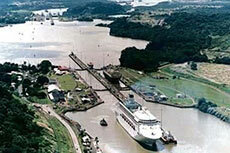 The Panama Canal Authority has announced a proposal for a new toll structure that will benefit the LNG industry. Panama Canal expansion: a sound investment for LNG? LNG owners and operators weigh up costs of shipping LNG through expanded Panama Canal.